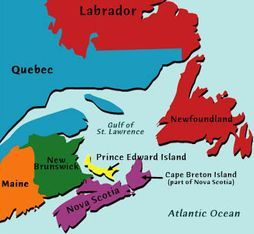 Located in the Gulf of St Lawrence, Prince Edward Island (PEI) is Canada's smallest province. The Mi'kmaq First Nations people called the Island "Abegweit" meaning "cradled on the waves". PEI has a population of 146,000 people with an extensive wildland/urban interface and a land base that is 87% privately owned. Forests cover some 44% of the Island, mostly in the eastern and wesern ends of the province. 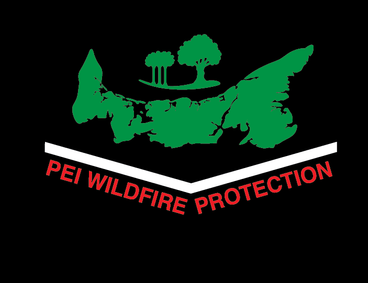 Forest fires in PEI are generally small in size (0.1 to 61 hectares; average 2.9 hectares) with approximately 20 wildfires reported annually. Grass burning, land clearing, blueberry pruning, property cleanup of woody debris, and mischief/arson account for most Island wildfires. Lightning strikes are not a contributor to forest fires on the Island. Although our fires are small, the rural areas are heavily populated creating serious risks to human life, crops and structures. To PEI's benefit, the island has an extensive network of private and public roads accessing forested land and easy access to streams, rivers and ponds. The last large fires that impacted structures on PEI were in 1986 and 1960. However, the recent large fires in western and northern Canada have increased awareness that fires of this magnitude could happen here too. As well, over the last two decades, PEI has experienced longer dry/drought weather conditions increasing the potential for an extreme fire event. Burning permits are the primary tool used to educate and control the grass and brush fires on private properties. The Forests Fish and Wildlife Section of the Department of Community, Lands and Environment issues burning permits to ensure fires are ignited under optimum weather conditions and that these fires are properly tended until extinguished. Burning without a permit is an offence and is subject to fines.